Opti-Rite® Easy™ is ouf most economical peel-n-stick dry erase wall covering material. Opti-Rite® Easy™ is a highly effective solution to your dry erase needs. 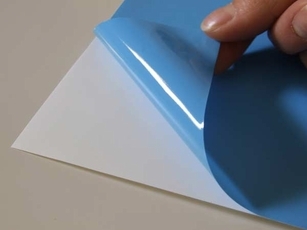 It's an ultra thin sheet of dry erase material thats easy to install with a simple peel-and-stick self adhesive backing that requires no special tools or paste to install. An exceptional high gloss, white writing surface that erases clean. Can be used with either water soluble, damp erase or dry erase markers. An ideal solution for use in the office, your classroom, your home office or the kids room. Actually anywhere where you need an inexpensive dry erase writing solution. 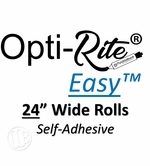 You can order rolls of Opti-Rite® Easy™ in lengths from 4' to 200' long. The materials are in stock and ready for shipment in 2-3 business days. 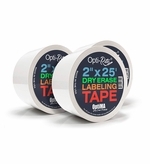 2" and 4" Wide x 25' Rolls of Self-Adhesive Opti-Rite® Labeling Tape.